Crazy Eddie's Motie News: What if the entertainment professionals voted on the television acting nominations at the Saturn Awards? Like the lead actors, this field is properly categorized, so I have not complaints about that. Also, they're the reasonable choices for the shows the actors are in. Even so, I'm still running them through the machine to see what a more mainstream selectorate would yield. Jonathon Banks "Better Call Saul"
Kit Harington "Game of Thrones"
Michael McKean "Better Call Saul"
Evan Peters "American Horror Story: Cult"
The procedure was even more rigorous for the supporting actors than for the leads, as only three of them survived, Kit Harington, Michael McKean, and Even Peters. Of the three, McKean had the highest score with nominations from the Critics' Choice Awards, Gold Derby Awards, and Satellite Awards. If I were definitely vote the establishment choice, it would be for him. As for the actors who the process added, the highest scoring were David Harbour, who 'won the Critics' Choice Award followed by David Thewlis, who played Remus Lupin in the Harry Potter movies. Nothing wrong with their speculative fiction credentials! Now for another category in which misplaced actresses played a part. Here's the list of actual nominees. Now the hypothetical field after the mainstream awards shows have weighed in and I have moved the miscategorized nominees from the Best Actress on a Television Series roster. 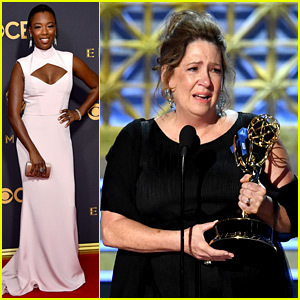 Ann Dowd "The Handmaid's Tale"
Danai Gurira "The Walking Dead"
Lena Headey "Game of Thrones"
Melissa McBride "The Walking Dead"
Samira Wiley "The Handmaid's Tale"
Like the supporting actors, only three members of the original field survive with Dakota Fanning being the highest rated, followed by Danai Gurira and Melissa McBride. This is one case where I am voting for the establishment choice, even though Gurira is the only performer nominated for both movie and television roles, as I mentioned in 'Black Panther' vs. 'Wonder Woman' at the Saturn Awards for a late Free Comic Book Day. She's my second choice. Also, I moved Lena Headey and Mary Elizabeth Winstead down here where they belong. As a result, this field has five nominees selected by the Saturn Awards committee. Not bad. That written, the biggest snub is Ann Dowd, who joins the rest of the Emmy winners from "The Handmaid's Tale" in being snubbed. I wonder what the television or acting committees have against "The Handmaid's Tale"? 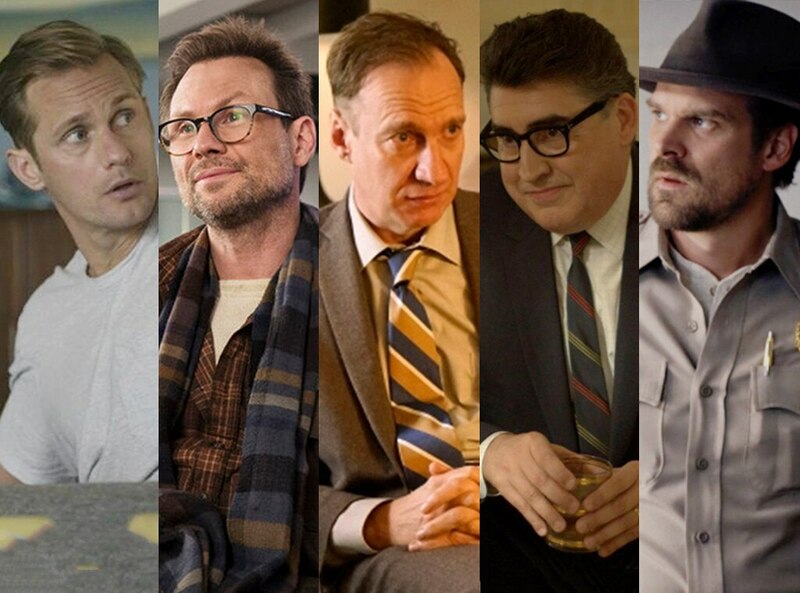 Now for what the Saturn Award electorate, but not necessarily The Television Academy, consider to be guest performers. Many of these performers are really supporting actors for the seasons of the shows they were in, but I found that removing them did not leave enough actors to fill the field, so I left them. Instead, I just ran them through the same process as everyone else. Here is what resulted. Alexis Bledel "The Handmaid's Tale"
Michelle Yeoh "Star Trek: Discovery"
Most of them survived. The highest rated of them was Bryan Cranston, a multi-Emmy winner. Joining them were Alexis Bledel, Gillian Anderson, and Jada Pinkett Smith. Bledel earned the highest score, making her the third Emmy-winning actress from "The Handmaid's Tale" to be snubbed. As for who I'm casting my vote for, it's Michelle Yeoh. She's more of a guest star than Jeffrey Dean Morgan, who I voted for last year. I didn't do much to the final category. As I noted above, I only added one performer, as the tiebreaker didn't break the eighth-place tie. I could have moved Millie Bobby Brown to Supporting Actress, which is where the mainstream awards shows have her. That would have reduced this field to eight and knocked out Melissa McBride. I could have lived with that, but decided it was better to keep her in the young performer category. She's the returning winner and the one I'm voting for. Before I conclude, I want to note the effect of using the more mainstream choices on diversity of the nominees. The original fields have seven people of color, eight if Ricky Whittle counts. The hypothetical mainstream nominees include only five people of color, even after adding Caleb McLaughlin, Jada Pinkett Smith, and Samira Wiley. Only Danai Gurira and Michelle Yeoh survived. That means that the Saturn Awards did a better job of promoting inclusion and diversity than the mainstream awards shows did given the nominated shows. On that note, I won't complain about the acting nominations any more.